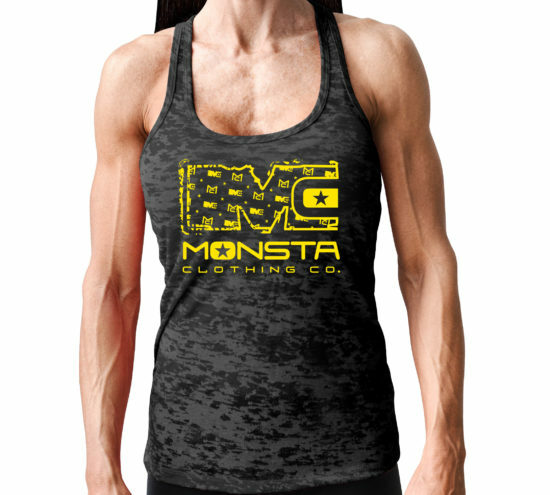 Super soft and super thin racerback tanktop for the women who like to style in a cozy pair of jeans and flip-flops after a long day of working out at the gym. The MC-LouisV icon dawns the front, while the Monsta name flows down the spine on the back. 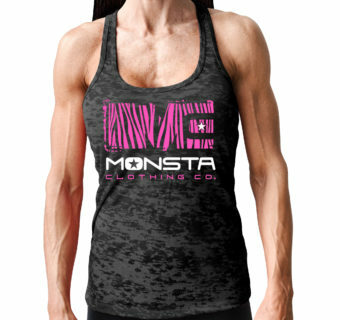 If you push the limits like you push your body then Monsta Clothing figure and overall workout clothes is for you. WARNING! Turning heads and jaw dropping are common reactions.